Shortly after I turned twenty-three I decided to rededicate my life to Christ. I somehow thought that by doing this my troubles would evaporate and I'd be blessed with a struggle free life. Oh how wrong was I.
I found myself doing the same things that I promised God I wouldn't do. Blessing people with the same mouth I cursed people with. Speaking words of encouragement to all who needed it, only to turn around and engage in senseless chatter. You see, when it comes to serving God, it's either all or nothing, either white or black.....no gray. Granted we may not know what God has called us to do in our life and won't know until God is ready to reveal that to us. And so I have learned to use my season of waiting as a way to listen to the Holy Spirit. And by allowing the Holy Spirit to move me, abide in me and then change me, I was able to fully dwell with him and let go all of the earthly things that I was trying my hardest to hold on to. God doesn't expect us to be perfect. He just wants us to be His. I had always had a heart to serve, even before I got saved. I tried volunteering at different organizations only to retreat at the last minute. Even though my heart was in it, I couldn't shake this feeling of hollowness. When I allowed Christ to lead, he began to show me a thing or two about serving others. 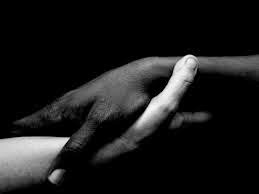 He showed me that although we are all different shades with different personalities; we are all children of the same God. Although it would be more comfortable for some to serve in a nice environment with air conditioner and cable, we are also called to serve to those who haven't seen soap or shampoo in weeks-such as our friends in the Free Market. When we humbly serve, not only are we a blessing to those of whom we are serving, but by being faithful with a few things, God will put us in charge of many things. Only then are we able to share in our master's happiness. Matthew 25:21. What I've learned by serving and being in community is that race, gender and ethnicity do not need to be the barriers we make them out to be. What I mean is that hunger does not discriminate, nor does poverty, nor homelessness. And so we must not be quick to turn away our brothers and sisters who do not look like us. We need each other. We need unity. If there is anything to be learned, know that although there are areas of our lives that are not yet clarified; and because we do not have clarity, these areas may seem gray to us. But when it comes to sin there should be no compromise. Perhaps it would be nice to do whatever we wanted to do and love the Lord at the same time, but it doesn't work like that....it's either black or white. There are many shades of gray; aim to be none of them.